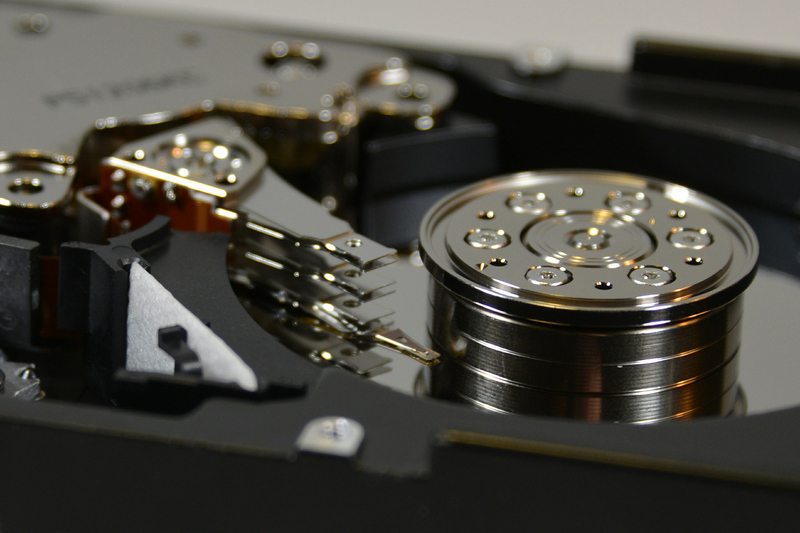 Modern storage technology with ever-smaller and more powerful hard drives cannot function without them: the effects of so-called magnetoresistance ensure that the data stored magnetically on hard disks can be read electronically. In doing so, even a small change in the magnetic field leads to a relatively large adjustment of the electrical resistance of a material. The Nobel Prize in Physics in 2007 was awarded for discovering one of these effects. By now, they are a standard feature of read/write heads of hard drives, or in automotive sensors. Physicists at Kiel University (CAU) are investigating the related effect of so-called direction-dependent, tunnelling anisotropic magnetoresistance (TAMR). They have now been able to show how this effect can be influenced on an atomic scale. The scientists published their results in the specialist journal Physical Review B Rapid Communications. In the long term, the effect could be used for a new principle in data storage, so-called MRAM memory (Magnetoresistive Random Access Memory). This memory promises a high data density, and can be read quickly and without high energy consumption. In contrast with conventional semiconductor-based RAM, they save data in a non-volatile state. Information remains stored, even when the computer is switched off, and is ready for use immediately after being switched on. In order to retrieve ever-greater amounts of data from ever-smaller hard drives, powerful read heads are essential. Information is stored on hard disks in the form of small areas with different orientations of magnetisation. The read head converts these differences in the magnetic field into different resistances, which can easily be processed electronically. In order to recognise such a change in resistance and retrieve information, in the case of tunnelling magnetoresistance it is not only the electrical charge of the flowing electrons which is decisive, but also a second property: the electron’s spin. In contrast, the Kiel research team has been investigating the tunnelling anisotropic magnetoresistance. Anisotropic means that the resistance change depends on the direction of the current relative to the magnetisation. This effect does not require the spin of the flowing electrons, and could thus simplify the components for memory technology. The experiment of the Kiel scientists shows that it could also be used to read magnetic information stored in molecular structures. The Kiel research team, led by Professor Richard Berndt, used a scanning tunnelling microscope (STM) for their experiment. This allows the geometric structure of metallic surfaces to be investigated right down to the scale of individual atoms, and for example to measure changes in electrical resistance. In addition, its fine tip enables the structure to be manipulated atom-by-atom, and thereby change the physical properties of a material in a targeted manner. Thus „handmade“ molecules can be tailor-made. 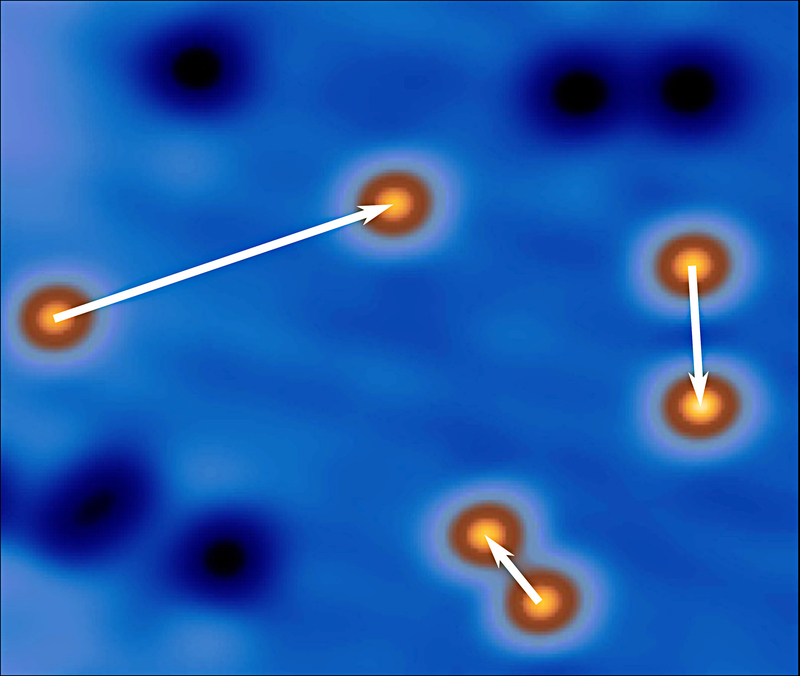 Using the STM, the Kiel physicists created a molecule from two lead atoms, a so-called lead dimer, to enhance the weak effect of anisotropic magnetoresistance. This is because lead has relatively high quantum mechanical spin-orbit interaction, due to its large nuclear charge. In other words, the spatial arrangement of the lead atoms affects the magnetic properties of the material particularly strongly. In a second step, the scientists were able to use the STM to arrange the lead dimer on an iron surface with different magnetisation orientations. „Lead itself is non-magnetic and can be easily moved on magnetic surfaces,“ explained main author Dr Johannes Schöneberg from Berndt’s working group, about the idea behind their experiment. They could therefore position lead dimers on magnetically-different areas of the surface and in different orientations. In their experiment, the researchers investigated how the electrical resistance changes in each of the different areas and orientations. Depending on the orientation of the dimer, they observed magnetoresistance ranging from very strong to almost negligible. In order to understand these results, Dr Paolo Ferriani from the working group led by Professor Stefan Heinze carried out numerical quantum mechanical calculations, using supercomputers at the North-German Supercomputing Alliance (HLRN). „In this way we were able to show that the change in resistance strongly depends on how the axis of the dimer and its spin direction are oriented towards each other,“ said Ferriani. However, the investigated lead dimers are not yet ready for targeted use in the new research field of spin electronics. The Kiel physicists had to conduct their experiments under special conditions at -269°C because the dimers are unstable at room temperature. Nevertheless, their work under laboratory conditions shows that „handmade“ structures on the atomic scale have a great potential to control magnetoresistors. The work was supported by the Collaborative Research Centres 677 „Function by Switching“ at Kiel University and 668 „Magnetism: from the Single Atom to the Nanostructure“ at the University of Hamburg. 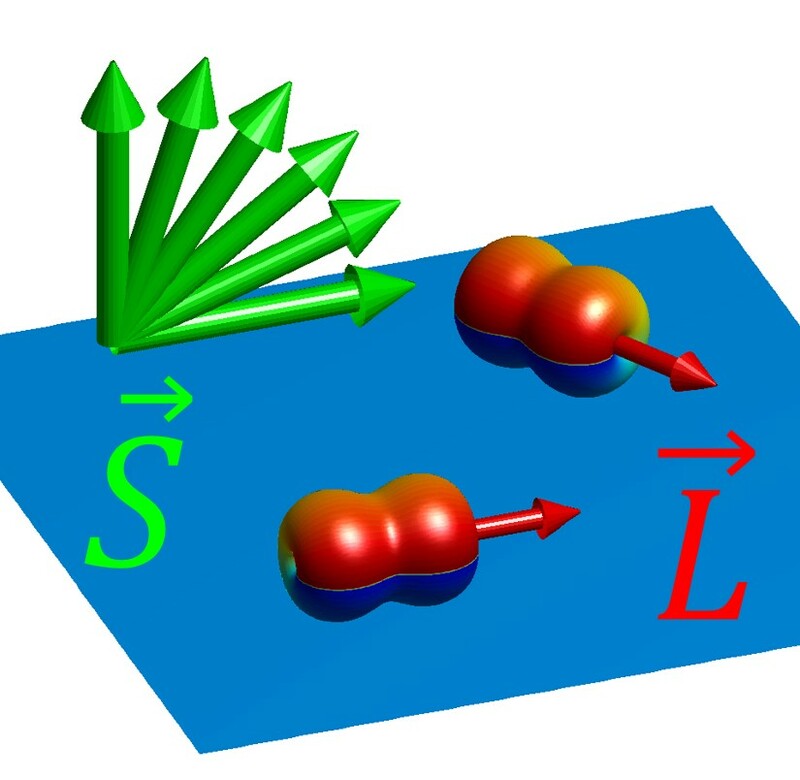 Tunneling anisotropic magnetoresistance via molecular π orbitals of Pb dimers, Johannes Schöneberg, Paolo Ferriani, Stefan Heinze, Alexander Weismann und Richard Berndt, Physical Review B (Rapid Communications & Editors’ Suggestion) 97, 041114 (2018). The spin of electrons, which is associated with a magnetic moment, and which leads to the formation of „atomic bar magnets“ (atomic spins) in magnetic materials, is highly suitable for processing and encoding information. Through its targeted manipulation, we could create faster, more energy-efficient and more powerful components for information technology. This is the research field of spin electronics (or spintronics). Caption: Thanks to the physical effect of magnetoresistance, data stored magnetically on hard disks can be read electronically. Caption: With the tip of the scanning tunnelling microscope, lead atoms (yellow) can be moved on a surface of iron (grey) into different magnetisation directions. Caption: The experiments of the Kiel physicists with molecules made of two lead atoms (red) showed that magnetoresistance, i.e. the change in the electrical resistance of a material when there is a change in the magnetisation direction, strongly depends upon how the axis (L) in the lead molecules and the spin direction (S) are orientated towards each other.